AGI is a tax term used to describe your income after certain adjustments. 1. Does Property Tax and Mortgage Interest Drop Your AGI Dollar for Dollar? The adjusted gross income definition is pretty straightforward. You total up all of your earnings for the year and subtract certain expenses. These expenses are referred to as adjustments. Your AGI is the amount of your income you’ll pay tax on. If you itemize, your AGI minus itemized deductions is the amount of income you will be taxed on. AGI or adjusted gross income is your total income minus allowable expenses. Adjustments, like deductions, reduce your taxable income. Even if you don’t itemize, you can take the adjustments you’re entitled to. Adjustments are sometimes referred to as “above-the-line” deductions, the line being your AGI. Adjustments have historically included tuition and fees, student loan interest, educator expenses, some business expenses, health savings account contributions, moving expenses and others. All of the expenses you can subtract from your gross income to arrive at your AGI are listed and explained in detail on the instructions for Form 1040. But there are exceptions and limitations to these above-the-line deductions. For example, if you moved because of a job in 2017 you may be able to deduct your moving costs. However, your new office has to be at least 50 miles further away from your old home than your old home was from your old office. Student loan interest can be deducted but it’s capped at $2,500. Also, you cannot take this deduction if you’re married and filing separately. Additionally, your AGI has to be less than $80,000 if you’re single and less than $160,000 if you’re married and filing jointly. If you’re married and filing jointly, you or your spouse cannot be claimed as a dependent on anyone else’s return. The IRS periodically makes changes in the adjustments you can take. The 2018 tax year brings many changes. While student loan interest can still be deducted up to $2,500, moving expenses are no longer deductible. For 2018, you can only deduct moving expenses if you’re on active duty in the military and moved per a military order. Also, new for the 2018 tax year, is a completely redesigned Form 1040. 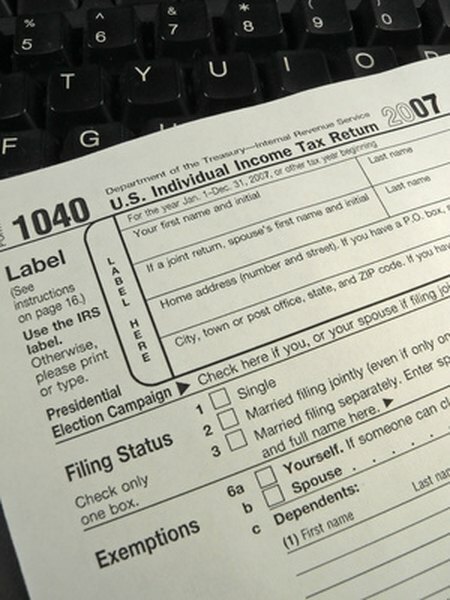 The new Form 1040 is about half the length of the old one. Rather than make adjustments to your gross income directly on it, you’ll fill out a Schedule 1, take the total from its line 36 and subtract it from the new 1040’s line 6 to arrive at your AGI on line 7. For 2017, the 1040 is the only IRS form that has room for all of the different adjustments the IRS allows. If you use Form 1040A, there’s only room to adjust your gross income by subtracting educator expenses, contributions to a traditional individual retirement account and student loan interest. If you’re entitled to adjustments other than these, you have to use Form 1040. Form 1040-EZ does not allow for any adjustments. So if you use this form, your AGI is the same as your gross income. Adjusted gross income calculators are available online to help you estimate AGI. To use one you’ll need your filing status, total income, total adjustments and deductions. Intuit TurboTax: What are Adjustments to Income? TurboTax Intuit: What is Adjusted Gross income?